Fake News 'Surge' in Supposedly Hate Crimes. You are here: Home / News / Fake News ‘Surge’ in Supposedly Hate Crimes. 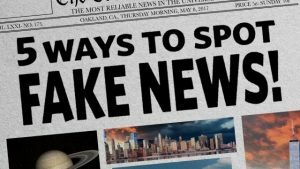 Fake News ‘Surge’ in Supposedly Hate Crimes. Colin Flaherty, “White Girl Bleed a Lot: The Return of Racial Violence to America and How the Media Ignore It,” called the game a national trend. He described “knockouts” in Philadelphia, Atlantic City, St. Louis, Birmingham, Chicago, Charlotte, Milwaukee, Denver, Minneapolis, Georgetown, New York City, Greensboro, Baltimore, Las Vegas, Kansas City, Miami, Cleveland, Nashville, Peoria, Seattle, Saratoga Springs, Atlanta and other places. But much of mainstream media dismissed the idea as “fake news,” attributing the notion of a rise in “knockout games” to the ravings of conservative media driven by anecdote.